Audit & Fix Your Site Now! Our all-inclusive Site Audit tool is part of a complete SEO Software suite that covers all the needs an SEO Pro, webmaster or digital marketer might have : Backlink Analysis, technical SEO Audits, content audits, keywords research & rank tracking, content optimization, Google Penalty prevention and recovery, and much much more. Within 24 hours, we saw our rank improve from #5 for the term we were optimizing for to #2. This fluctuated over next few days but then we settled into the #2 spot and have remained there since. 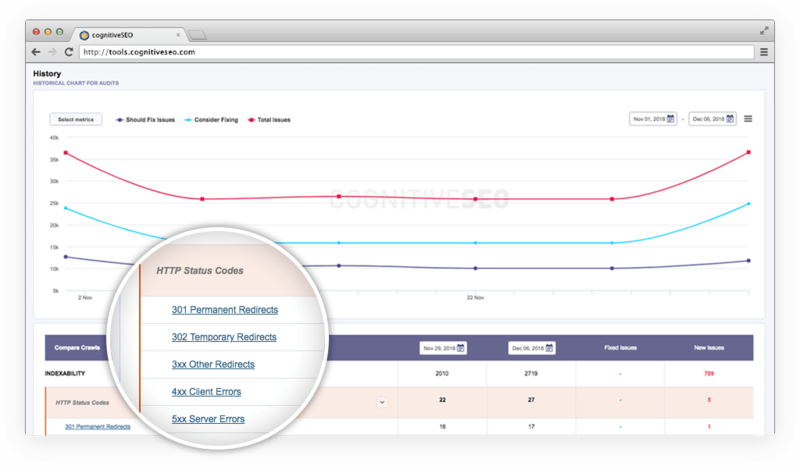 cognitiveSEO's audit tool detects all the seo issues of your online business and lets you know exactly what’s holding your website back from ranking and how to efficiently perform conversion rate optimization step by step. A complete website audit will give you a deeper understanding of why your site is not generating the organic traffic you think it should or why your sales and conversions are not improving. Conducting a technical SEO audit to check your website's health and your SEO errors is essential but so is actually fixing the errors found as a result of the technical analysis. 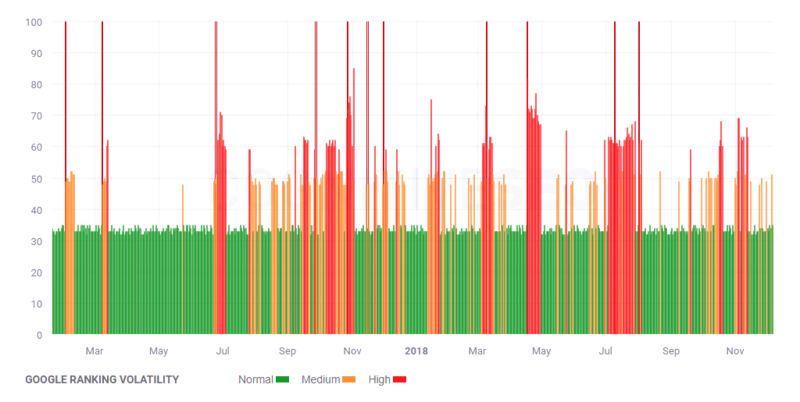 Our SEO analysis tools help you prioritize your website errors and repair them in the shortest time possible. An excellent site architecture is mandatory for both search engines and for the user experience. 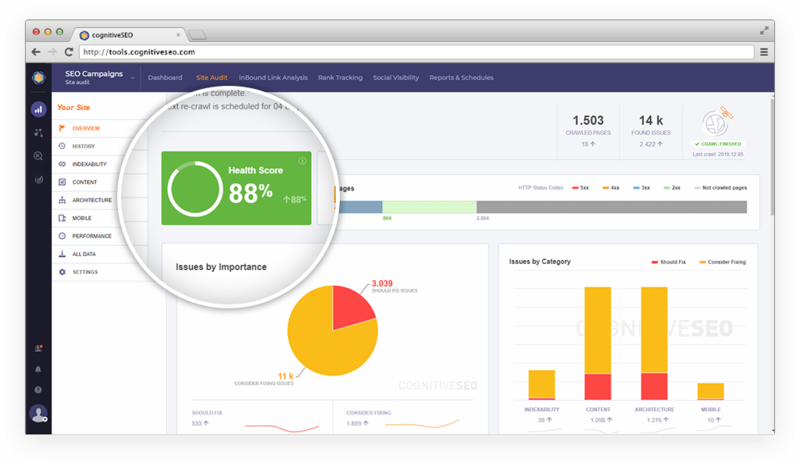 Our onpage SEO audit helps you diagnose all the problems with your site structure or website architecture so that you can deliver the best UX for your users. 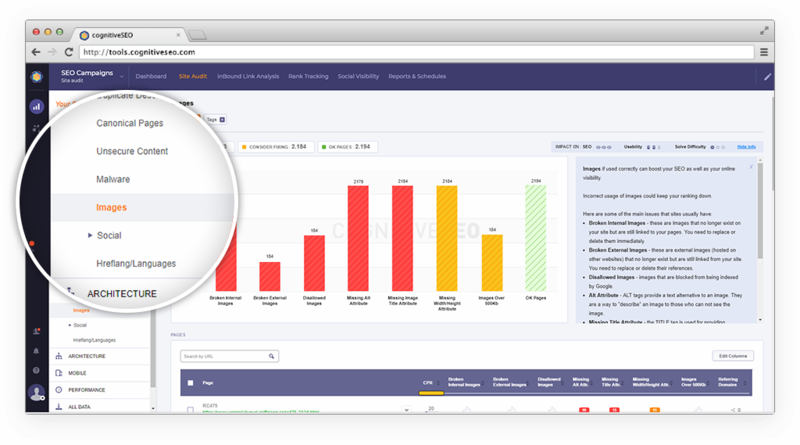 Our SEO checker also performs an in-depth competitor analysis so you can check what your competitors are doing and how can you beat them at their own game. Regardless if you are a marketer looking to improve the overall performance of a website or if you’re a skilled technical SEO who wants to dig deeper into the analysis, our powerful Site Audit offers you the exact customized data that fits your needs. Our SEO Audit Tool crawls all the pages it finds on your website to provide a fully customized set of data easy to comprehend and visualize. 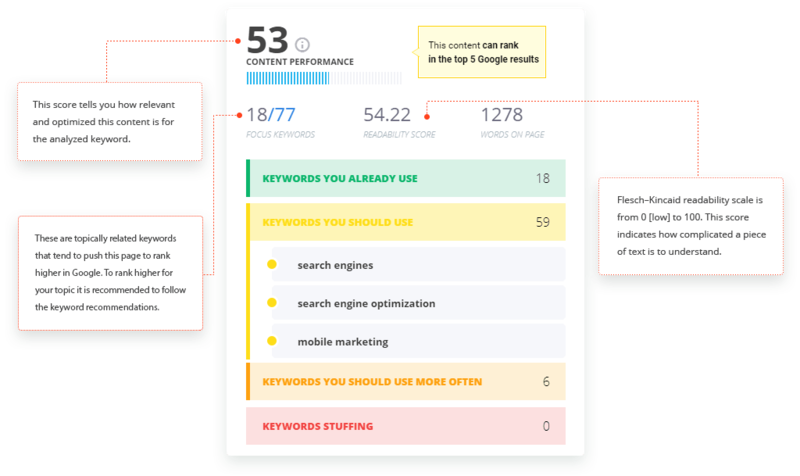 Our comprehensive SEO audit tool has a set of unique features that give you the possibility of improving your rankings in a matter of days. With the ever-evolving search engines' updates you will need an efficient solution to keep your rankings safe. That's why we offer not only in-depth site audits, but we also correlate your site's performance with Google algorithmic updates & fluctuations. Within our SEO audit process we monitor the Google SERP in real time, offering comprehensive correlations between your site's overall SEO performance and Google rankings. 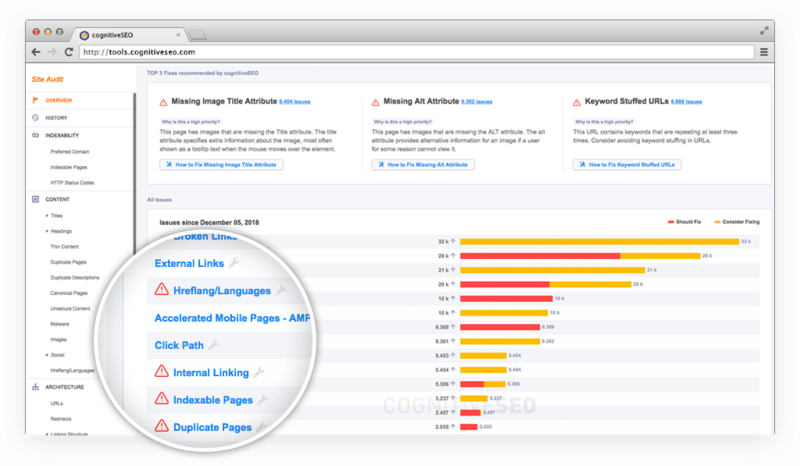 cognitiveSEO's onpage analysis offers a set of unique features and numerous parameters that allows you to see what's under the hood of your entire website and your SEO campaigns. Below are just some of the features that our comprehensive audit checklist contains. Our SEO website audit makes it easy for you to monitor your site's progress, keeping track of your errors that have been fixed and allowing you to check if any new issues have come up over time. Our SEO analyzer manages everything in the cloud so no need for any kind of installation on your side. You can create white label website SEO reports & site audits so that you can stay focused on the relevant outputs of your latest work. Automatic savings of each crawl & reports as well as automatic schedules are available.